The primary star is magnitude 7.1; the dimmest element, S, is mag. 13.5. The target was low in the sky... below 30° altitude. In a rich star field. I first observed this system on my birthday in 2016. Did not see the S star and I totally missed the F star. 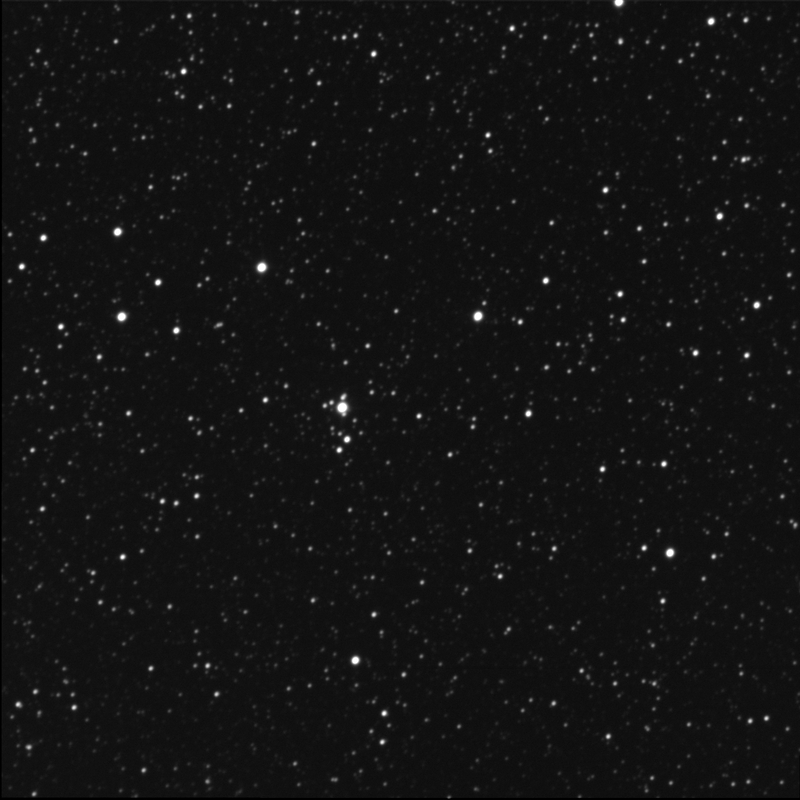 In this image, A is the brightest star near centre. 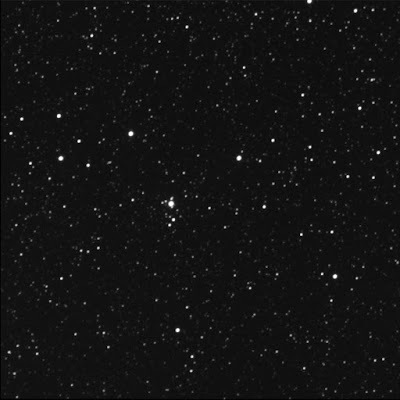 B, a medium bright star, is due north a short distance away. C is nearly due east about twice the AB separation. The D ally is south, twice the AC split, and very slightly to the west. D is much brighter than B. E is further afield, beyond D, slightly east, and slightly dimmer than D. Colleague F is far away to the west, perhaps 1.5 times the AE distance, about the brightness of B. Sidekick P is below or south of A, almost touching, dimmer than B. Q is between C and B, the same brightness as C. Friend R is north-west of B, touching B, dimmer. It appears rather close to B which is a different position than plotted by SkyTools 3 Pro. If I had to guess, I'd say it is actually B who's moving, away from Q and toward R. And finally, S. It is visible, barely, east of A, due south of Q. But it is very dim. I believe it is in the magnitude 15 bucket which is probably why I didn't see it last fall. So, this image was very successful, in that I was able to pull out all the accomplices. It is curious to me why the somewhat bright stars, about the same intensity as R, sprinkled between P and D, are not part of this system. Or is that why there's a gap in the lettering scheme? Wide double star ARA 741 in a nearly north-south orientation is obvious beyond F, west of F.
Did some more digging into the BU 284 system. Assembled in colour on 18 May '17.